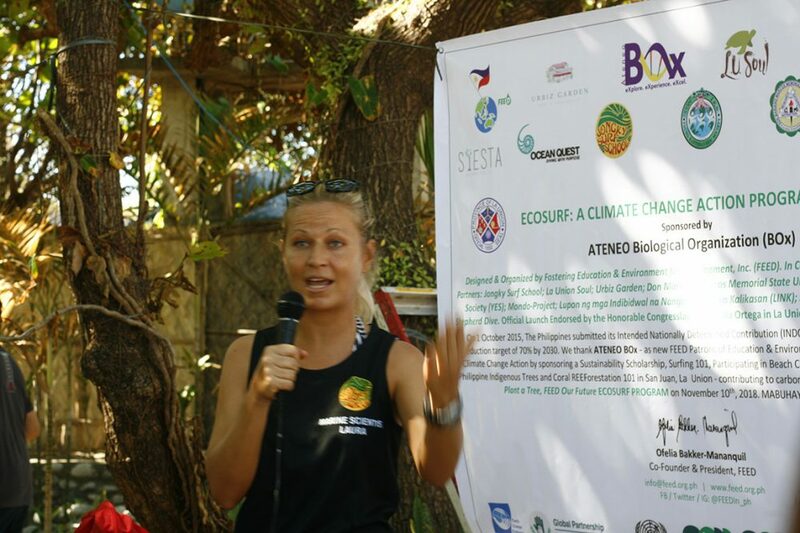 2013 Ecowarriors Celebrate International Biodiversity Day with Tree Planting | FEED, Inc.
Sinoloan, Quezon – Cheeky school children, no-nonsense army soldiers, and bespectacled university professors—what could they all possibly have in common? Apparently, a burning passion for things lean and green. Last May 22, in celebration of the International Day of Biodiversity, a multisectoral group of ecowarriors gathered at the Laguna Quezon Land Grant (LQLG) area between Sinoloan and Real to carry out a tree planting event. This was the third leg of the environmental program LIVING LEGACY: Plant A Tree, FEED Our Future, an upshot of the partnership among FEED Inc., the University of the Philippines Los Banos and the Philippine Army, specifically the 1st Infantry Battallion, 2ndInfantry Division of the Philippine Army of Pangil Laguna. Some 40 volunteers took part in planting 600 seedlings of seven indigenous species in a one hectare land area in Sitio Magsaysay. Some who graced the event were Academician, UPLB Professor Emeritus and FEED member, Dr. Asuncion K. Raymundo, UP Professor Antonio Rayos and volunteers coming from as far as California and Canada. The aim of the event was in support of the overarching goals of FEED which were environmental protection, community development, and reduction of carbon footprints. The campaign has its sight set on the reforestation of over 8,800 hectares of arable land and indigenous woods. Its target is to restore indigenous and industrial trees production and help sustain livelihoods of local communities in Quezon Province. First Lieutenant Amando Moncayo Jr. expressed support for this stating that “Aside from the security of the country, our soldiers are involved in ecological protection. 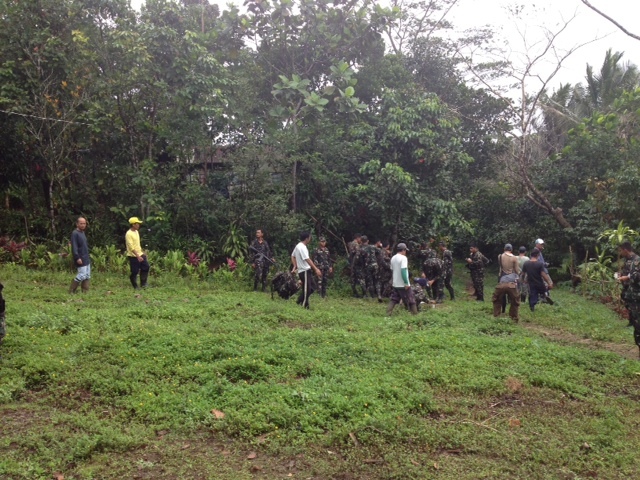 We have ongoing operations in tree planting and anti-logging activities. It is part of our program to help the environment”. Aside from forest conservation, the Living Legacy program is partnering with UPLB to supportthe existing projects of the UP Los Banos Land Grant Management Office which include ecotourism and research and extension. Manager Ben Arizala, who organized the event, gave the volunteers a tour around the area grounds which covered their citronella extraction facility and lagoon. As a result of the previous planting efforts of LQLG, it has now has a flourishing citronella business which the surrounding communities are able to benefit from. Currently, UP Los Banos has been managing the UP Sierra Madre Land Grants, two land grant regions I in the southern portion of the mountain range. As the organization continues its efforts, visitors would eventually be able to take advantage of their future ecotourism activities such as rappelling, boating, fishing, hiking, bird watching and mountain biking. This coming June 5, FEED continues its development thrust by joining in the celebrations of the United Nations World Environment Day, with the signing of a Memorandum of Understanding with UP Los Banos and the Philippine Army. FEED encourages people from all sectors to support the program by “adopting” a tree. A monetary contribution enables the organization to buy a seedling which gets planted in the patron’s name. To learn more about FEED’s other projects, visit https://feed.org.ph/ or follow FEED on Twitter @FEEDInc.